Picture this: You're in the rain in your canvas sneakers. You've had them for three months, and the winter seasons have seen the inner lining become brittle, with soles starting to decay. Your once snugly fit shoes begin to flood with water, drenching your sock in a feeling of discomfort. You squelch your way home, only to realize that the $100 you spent on these shoes has gone down the drain with the streams of water that ruined them. This is one of the reasons why purchasing the right footwear is important. You need something appropriate to carry you throughout each day, with enough comfort and layering so you can stay efficient. Bad shoes won't only fall apart in the rain, but they will dampen your wallet and your day. Let's face it, not all of us can head to the store very often to buy an expensive pair of shoes. The Smith & Wesson Breach 2.0 boots may be a solution to this problem. These shoes are advertised on the market as construction boot, but it doubles as an overall stylish and quality example of shoemaking. Scroll on down to read our review on the Smith & Wesson’s Breach Side Zip Boots. 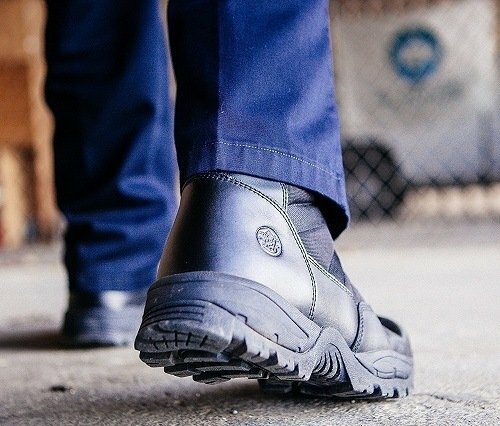 The Smith & Wesson Breach 2.0 boots are designed to comply with the hardest working of laborers. They are designed to face rough terrains and keep your feet safe. They're also one of the more affordable working boots in the market, costing around $100 on Amazon. A model made up of nylon and leather. An EVA Midsole with steel support. 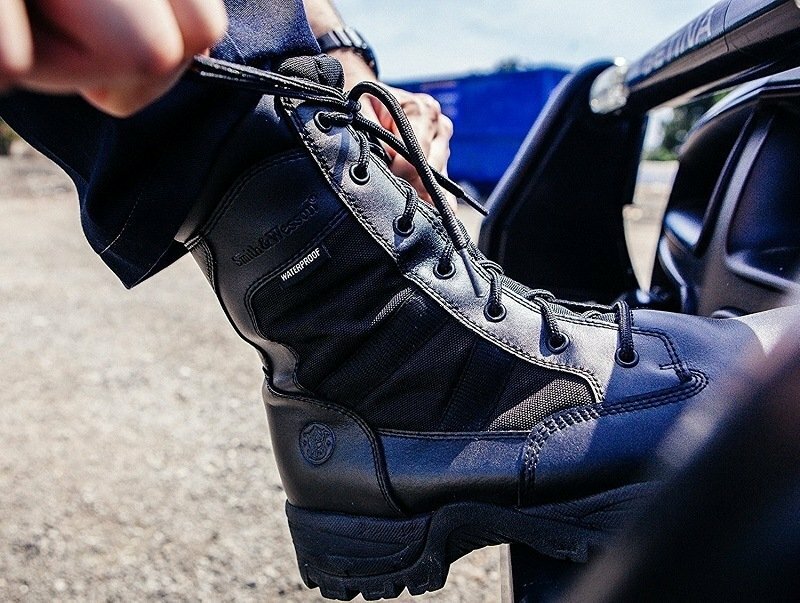 One thing that our users have noticed about the Breach 2.0 boots is their well-balanced ratio of protection and weight. The combination of leather and nylon that makes up this shoe provides long lasting durability and lightweight fit. This means that you can face your everyday work or activities with efficiency and assurance that your shoes will withstand the intensity. The Breach 2.0 also comes fitted with a gusseted tongue, which is built in to protect your feet from the invasion of debris. The tongue encloses your feet in an armor-like enclosure, meaning that they are safe and clean. The HydroGuard waterproof technology has proven to be one of the favorite features among boots aficionados, as this layering makes sure that your shoes won't decay in the rain. Many of our users have cited the Breach 2.0 as one of the most comfortable boots in its price range, and this is largely thanks to the added support. Using a steel shank underneath EVA midsole technology, the arches of your feet are kept in a proper posture. This decreases the chance of fatigue throughout strenuous work times. Who would have thought a pair of shoes would make the workday easier! Along with the steel support, comes the rubberized outsoles that slip resistant. This means you can face any landscape in any weather condition without the fear of your shoes making you fall over. These outsoles have also been crafted to be non-marking. As far as convenience goes, the side zips allow you to slip into these with ease and go about your day. The Breach 2.0 boots come equipped with PU collars, which allow easy access for cleaning purposes. While these features are great for general use and strenuous activities such as hikes, a few negative reviews have stated that the Breach 2.0 boots are not an ideal shoe for high octane exercises such as running. While the steel support does decrease fatigue in the long term, the heaviness of the material will weigh you down in these types of activities. 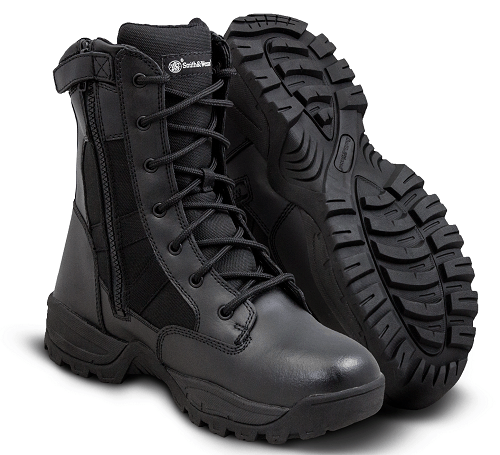 The simplistic, yet stylish build of the Breach 2.0 boots have been praised by several customers upon purchase. The sneaker-like shape makes them not only great for work but casual wear as well. The Breach 2.0 comes in both a metallic black and a coyote brown; both of which are tones that go with any outfit. However, if you were looking for something more complex in aesthetic or visible at night, the basic build of the Breach 2.0 will not please. Price wise, the Breach 2.0 is a bang for your buck, and many positive reviews have been amazed by the number of features this budget boot has. For a $100, this boot has pros that exceed even some of the most expensive builds on the market. If you’re still questioning what boots you should purchase, keep on reading for a buying guide we’ve put together. Before buying a pair of boots, you need to determine what you will be using them for. This way, you can choose the right features and builds for your needs, and walk away feeling like a happy customer. For example, if you were looking for a pair of exercise boots, you would want to research a series of lightweight, minimalist builds. This one is fairly self-explanatory, yet something we all struggle with. You need to pick a pair of boots that you like, and this will vary depending on your taste. Boots come in all different shapes and aesthetics; it's up to you to decide the one you like the most. Once you have your eye on a good half a dozen boots, compare the pros and cons of the respective styles, and decide which features benefit you the most. For example, if you are looking to exercise in these boots, you need to look at each model’s fabrics and arch support mechanisms. This way, you won’t have to return to the store in a month. Throughout your research, set a budget that suits your bank account, and delve into the models that fall into that price range. 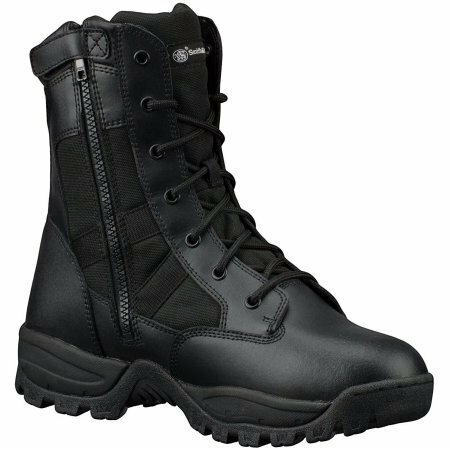 The Smith & Wesson Breach 2.0 boots are affordable, durable and comfortable, making them an ideal choice for almost everyone. While they do not fare as well as other boots when it comes to high octane sports, they flourish in the categories of everyday use without busting your budget. Do you have any questions about this product? Leave them in the comments section below.